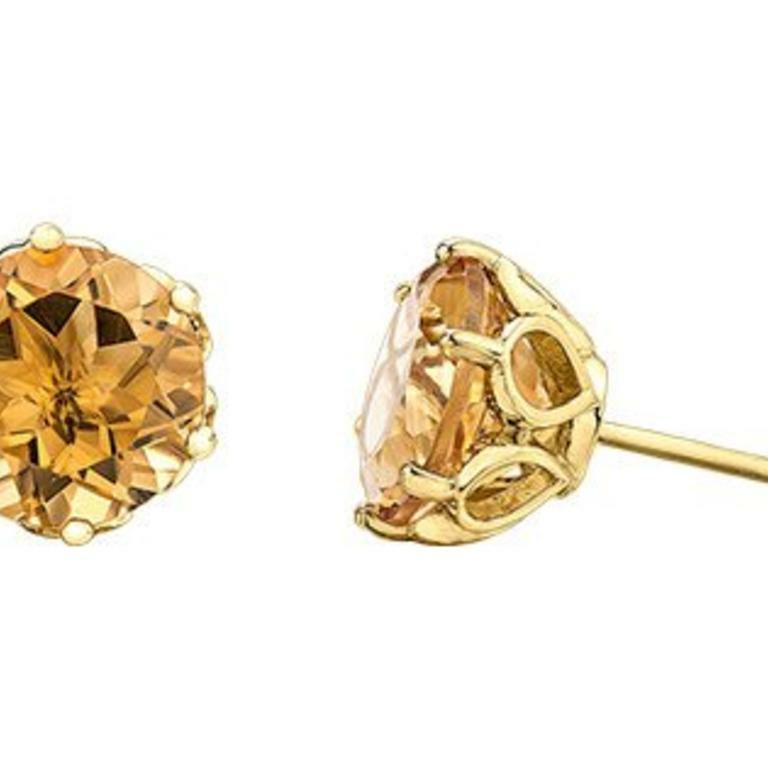 One pair of ladies citrine stud earrings of classic contemporary styling. The earrings are crafted in 14k yellow gold, filigree style settings. Each citrine measures 9mm in diameter and is facted in cutting style. The earrings secure with pierced posts and butterfly backings.